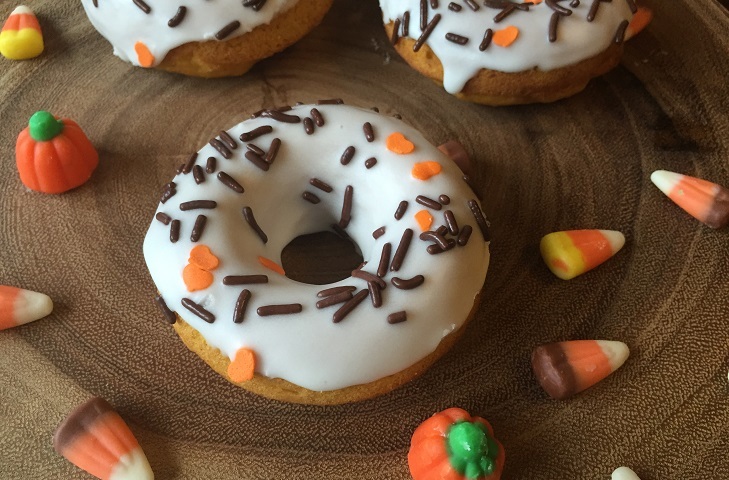 caitBakes - Come Bake with Me! Hello my sweet readers! Happy Friday! As many of you know, my life has been pretty hectic lately! Joe and I got engaged in December. As if wedding planning isn’t stressful enough, we are also building a brand new house, which will be ready for us to move into in August. I have put the blog on the back burner for the past couple of months, but I’m back now and more excited to post than ever! What are everyone’s plans for the weekend? Brunch, perhaps? 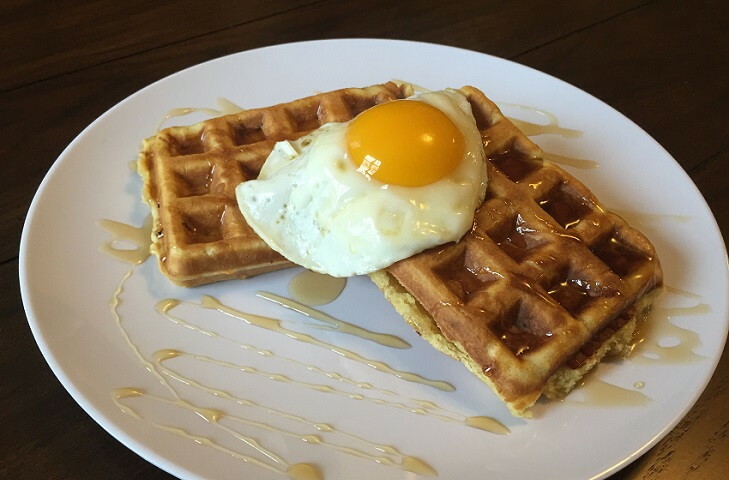 Today, I’m sharing a waffle recipe – perfect for brunching. These waffles are a little extra special because they have both brown sugar and bacon in them! Yep, you heard me! Brown sugar bacon waffles. The perfect combination of sweet and savory. This recipe is from The Brown Eyed Baker. I hardly adapted this recipe, but I did cut all the ingredients in half. Her recipe makes 7 large Belgian waffles, too much for just Joe and I. We own a Cuisinart grill with waffle iron plates, and this made 6 small individual waffles. Hello my readers!! I hope you’re enjoying all of you leftover Halloween candy! How was everyone’s Halloweekends? I unfortunately had to work all weekend (struggles of being a nurse!) I thankfully still managed to find time to bake. 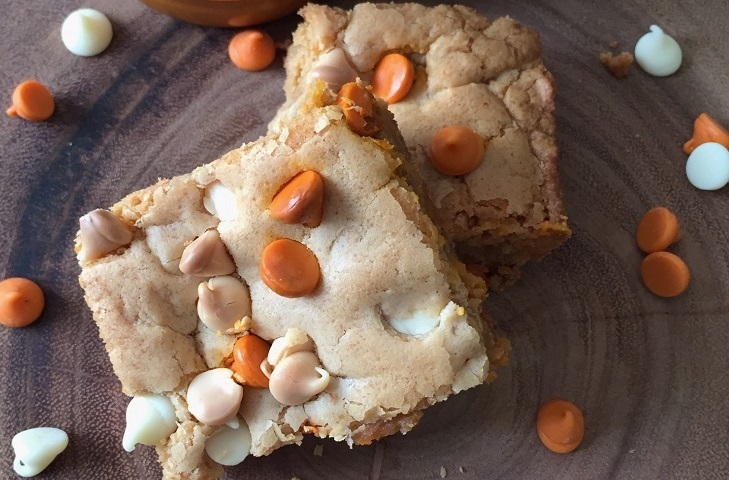 I made pumpkin spice blondies which I’m going to share with all of you today. The best part about them is that they take 10 minutes of preparation and there is no mixer required. They’re perfect when you’re pressed for time, just like I was! Hello my fabulous readers! So long, no post! I just got back from a wonderful vacation to the Finger Lakes in New York. It was the perfect week full of wine tasting and relaxation. Before I went on vacation, I made these chocolate chunk cookies and I just had to share the recipe with you today! It was pretty much a no-brainer that I had to add a chocolate chip cookie recipe to the blog. They are my favorite dessert after all! 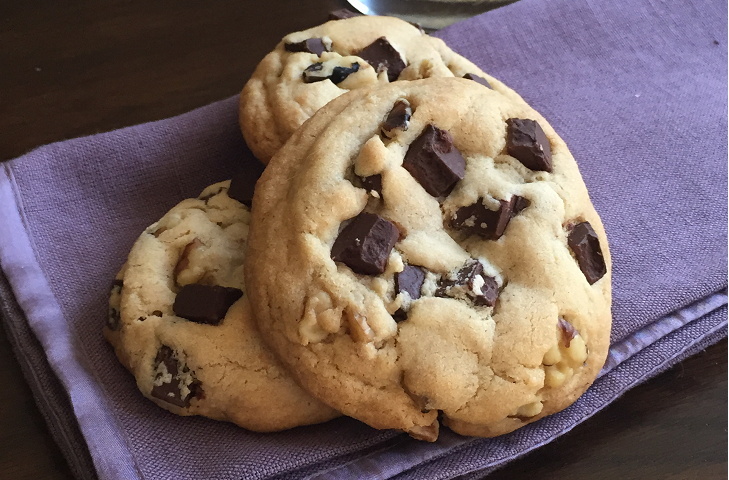 I decided to make these cookies a chocolate chunk version after I had picked up these from King Arthur Flour. I have been dying to perfect this recipe and I think I nailed it! There are so many names for this stuff: puppy chow, muddy buddies, reindeer food… The list goes on and on. I like to call it crack because it’s so dang addicting. 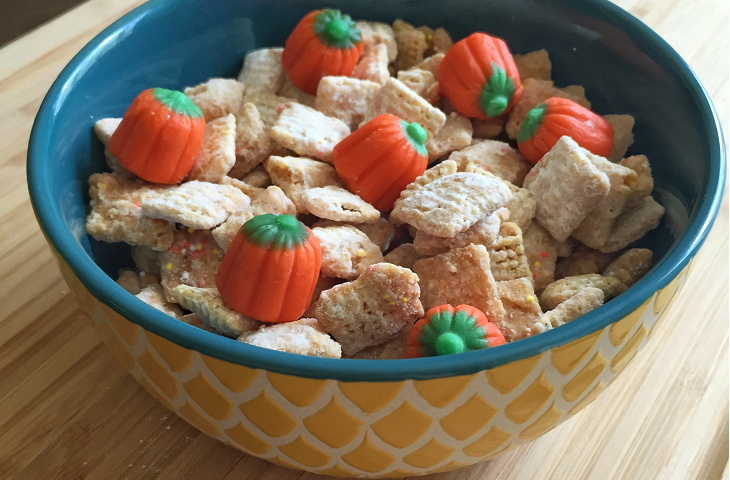 I had never heard of puppy chow until I lived with Heather in college (her blog here). She is the puppy chow queen! Most puppy chow is made with peanut butter and chocolate, but I wanted to spice things up for the upcoming fall season. Other than pumpkin, my most beloved flavor in the fall is caramel. (I’m basic.) I need to combine the two for a recipe ASAP. Nurse, Pittsburgher, Diet Coke addict, and lover of all things chocolate! 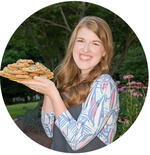 Get an email notification for each new recipe or post!